Thanks For Visiting Our Service! If you’re looking for a highly qualified professional link building service, then you are in the right place! 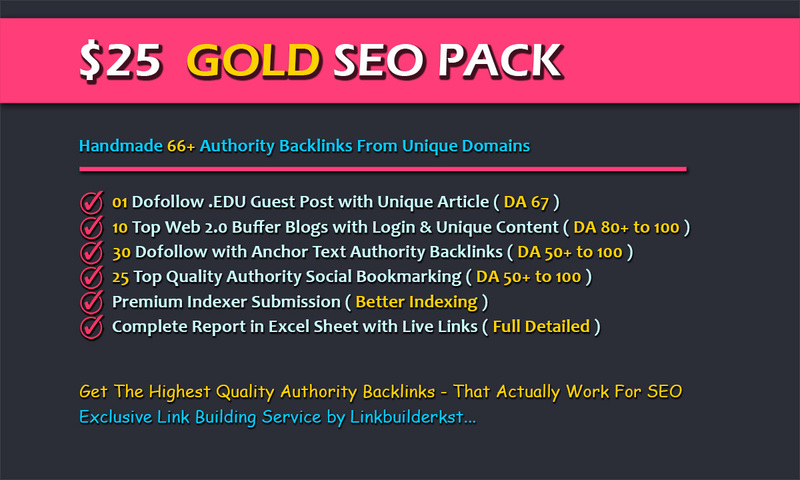 With This Basic Service, you will get 30 Dofollow with Anchor Text Backlinks from authority unique domains with full Report in Excel Sheet with Login Details. From highly popular, trusted, big volumes traffic highest authority sites! That will boost your business reputation and makes your authority in Google! If You Want More Boost Your Rank On Google! If You Want To Get The Gold or Diamond Pack! 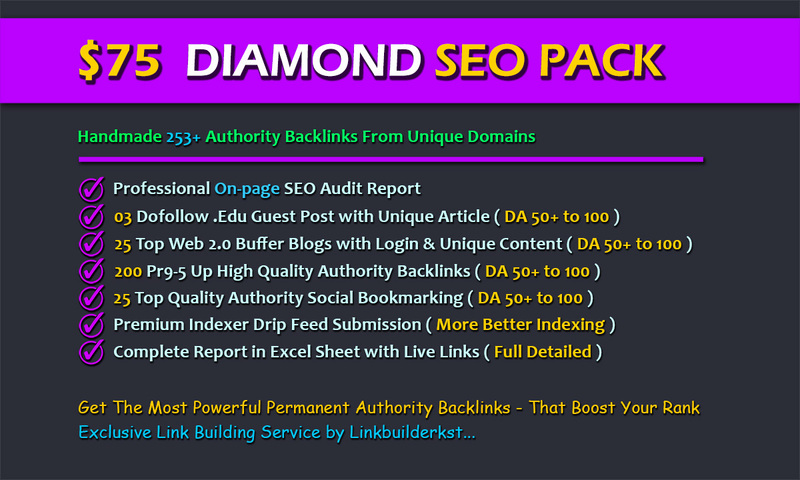 Yes, we use only high DA and TF unique domains to create those backlinks. Our 80% links will be do-follow and few will be no-follow. Because a mix of do-follow and no-follow links are always good for your link profile. Yes, we accept non-English websites and anchor/keywords. Yes, we will provide a Complete Report in Excel sheet with login and live links ( Full Detailed ). We look forward to working with you on not just this project but on future projects too! So you can totally rely on whatever finished work you get from me. 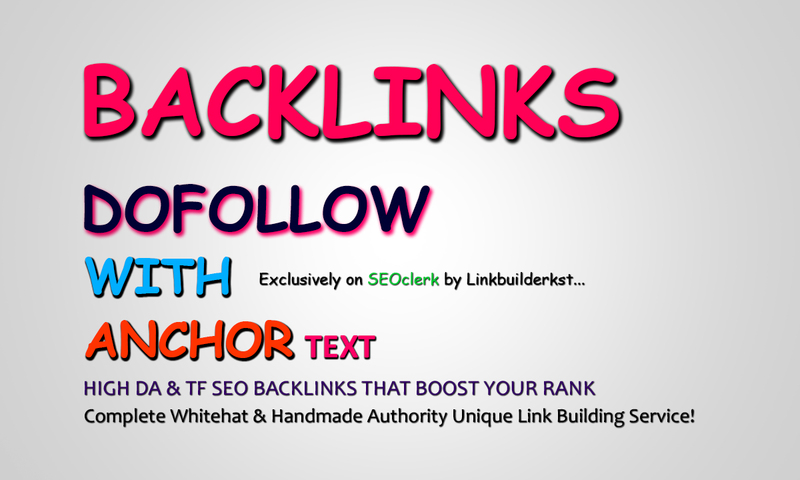 30 SEO Backlinks - Dofollow With Anchor Text is ranked 5 out of 5. Based on 23 user reviews.